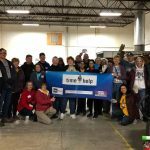 A Time to Help’s largest volunteer event of the year is right around the corner. 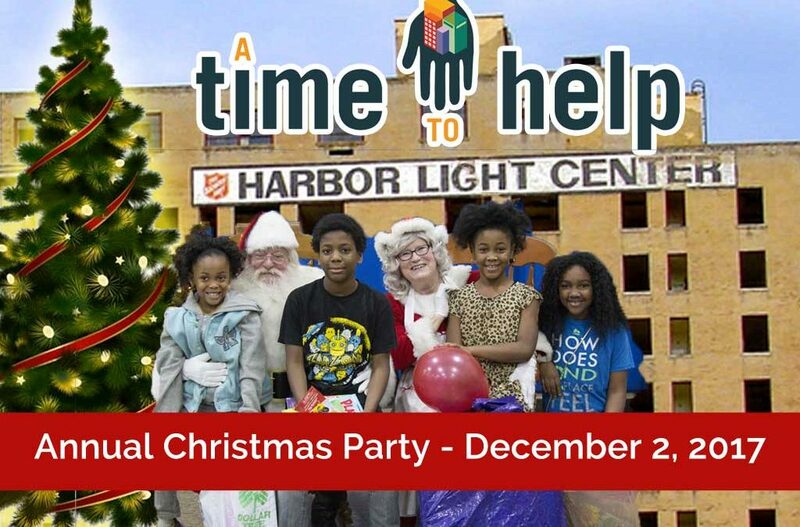 Come join Mitch Albom on Saturday, Dec. 2 to help host our annual holiday party for shelter residents and their children at The Salvation Army Harbor Light in Detroit. 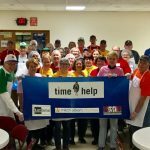 With the help of a generous public, the A Time to Help party gives shelter residents a heartwarming and memory-making experience. We will provide the mothers an opportunity to “shop” at a gift store stocked with donated new clothing and toiletries, along with toys for Santa to distribute. The morning will also be filled with fun activities that our volunteers will supervise for the children, including face painting, dancing, caricature drawings, children’s crafts, games and more. The popular “relaxation zone’’ returns again this year for mothers to receive free manicures and massages. So, too, does the opening breakfast snack followed by a fabulous pizza luncheon sponsored by Shield’s Pizza. And of course, the highlight of the celebration will be a visit by Santa and Mrs. Claus. Among the new additions this year will be performances by “Patrick the Magician’’ for the families to enjoy. Time: 8 am – 12:30 p.m. Volunteers are asked to arrive by 8 am to check in, help set up and decorate, and receive their assignments. The party will start at 9:30 am. What to Bring: All volunteers are asked to bring items to donate to stock the holiday store. This is where shelter residents will “shop’’ for gifts for their children and themselves. 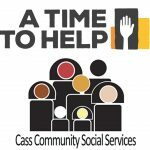 We encourage each volunteer to purchase at least one life-skills toy such as Legos or educational and family games, and one clothing or toiletry item. Gifts are to be unwrapped to make sure that each child and parent receives the appropriate and safe new gifts. For women: The shelter is requesting nighttime clothing — such as nightgowns and two-piece PJ’s — so we are making it a pajama party at the holiday store! The size range requested is small to 3X. Other items to consider donating for the moms include body wash, deodorant, lotion and pump body spray (no aerosol sprays, please). Children’s clothing: Pajamas, or other nighttime clothing such as sweat pants and sweat shirts. The ages of the children range from infants to age 14. Toys: All toys will be sorted by age group in “Santa’s Workshop’’ near the holiday store, and then bundled and taken to Santa for distribution after his surprise arrival. We are asking for life-skills and educational toys, but age-appropriate electronics for the older children, including ear phones, are OK. The age groups are infants to age 3; children ages 4 to 7; 8 to 11, and 12 to 14. Another Donation Request: We want to make all of the party rooms and the hallways super festive this year, so if you have any extra holiday decorations to donate or bring for us to borrow for the event — such as wall decorations, holiday lights, centerpieces, etc — that would be great. Please make sure to put your name on your decoration if you’re not donating. Other Important Information: We are asking all volunteers to refrain from taking photos of the shelter residents/guests and their children unless you know they’ve signed a consent form. It is paramount that we protect their privacy. In addition, The Salvation Army has implemented “Safe From Harm’’ rules for volunteers that apply to their campus. The guidelines will be emailed to each registered volunteer the week of the event.